hexedit is a Open Source Forensic Tool in the Backtrack Linux through which you can view and edit the files in hexadecimal or in ASCII . 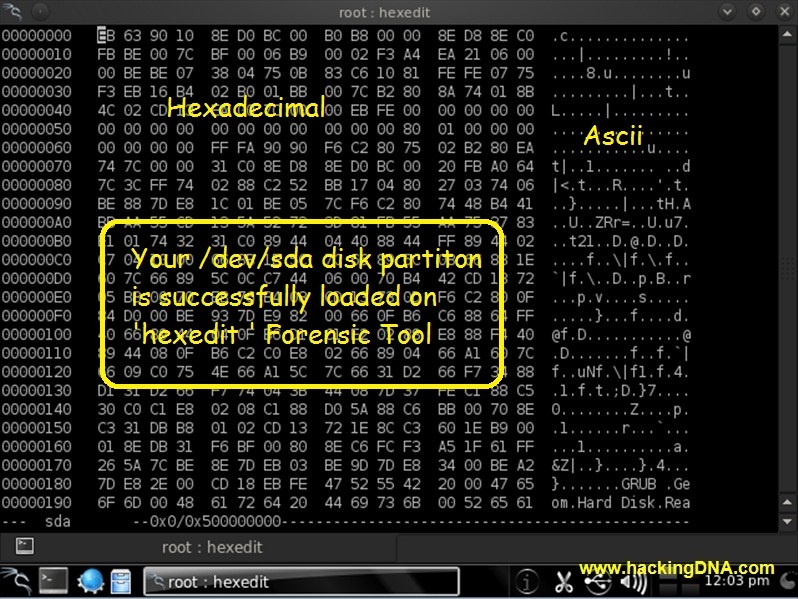 This tool is created by Pixel Riguax. 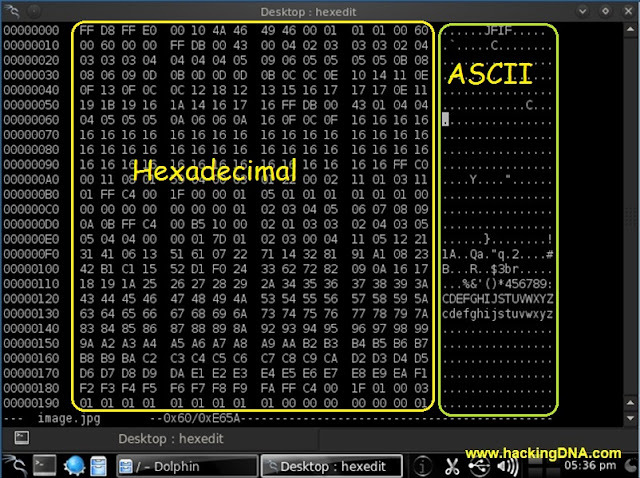 You can search for a string in ASCII or hexadecimal format ..
You can load any file , cut/paste, save etc on hexedit. 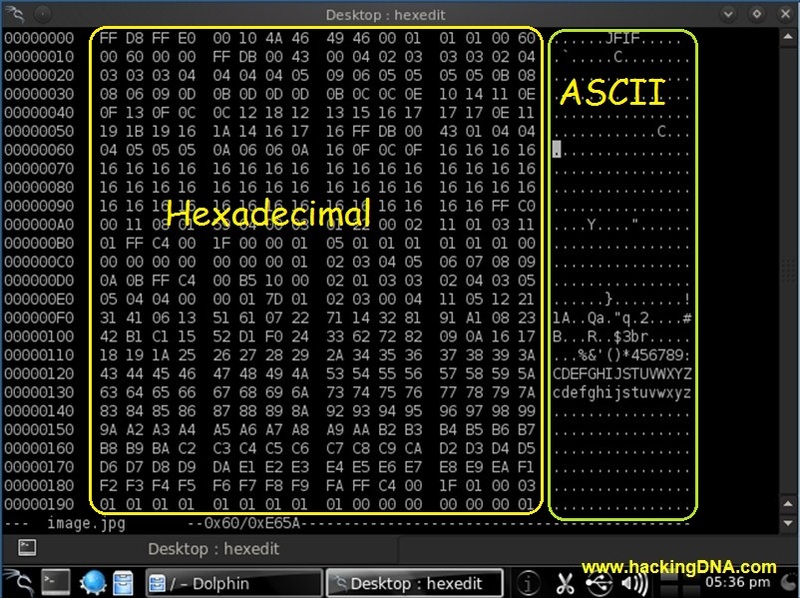 You can toggle between ASCII or hexadecimal using Tab Key . 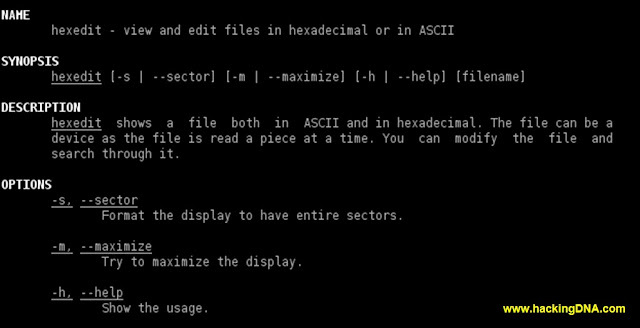 For more help you can use the " man command "
Command : man hexedit // When you enter this command , help screen will display infront of you . 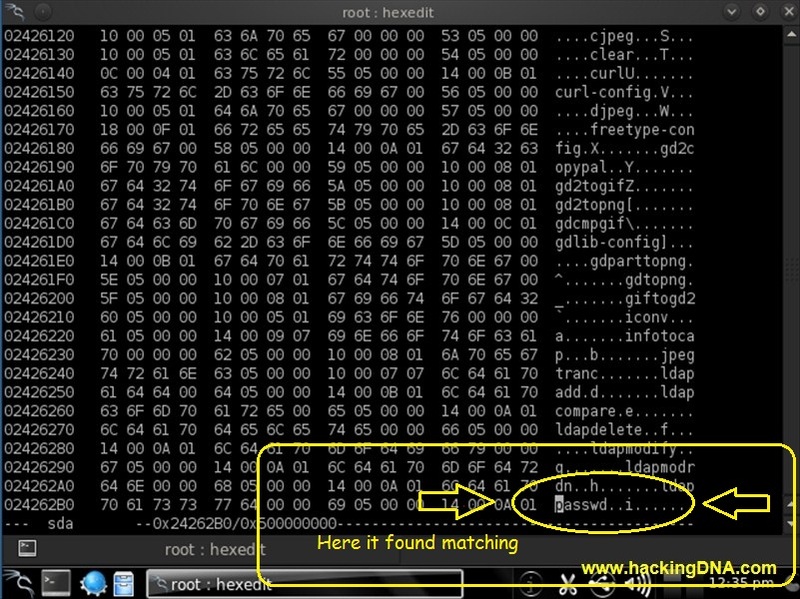 Example 1 : Opening a file in " hexedit "
Below image shows that I am using 'ls command ' to see my file on my Backtrack . 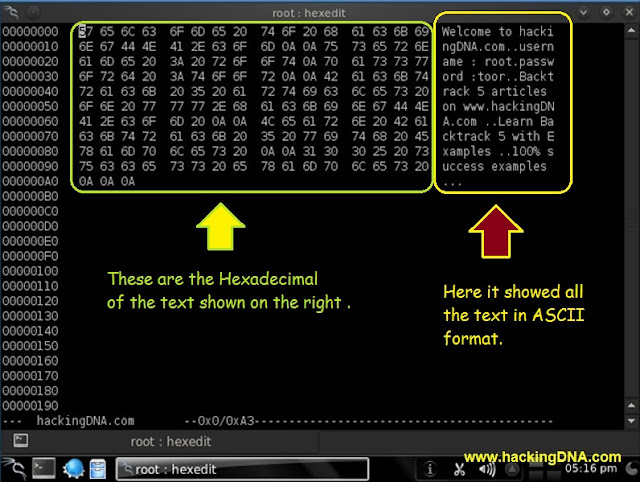 When i got my text file i use the 'cat command ' to display the text inside hackingDNA.com file . 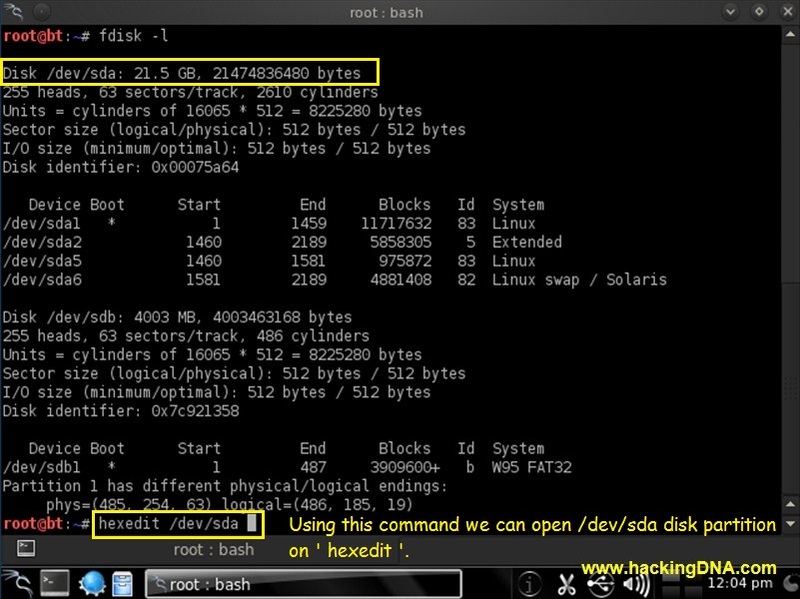 Example 2 : Load a image file on " hexedit "
First , we use fdisk -l to see the linux partition . 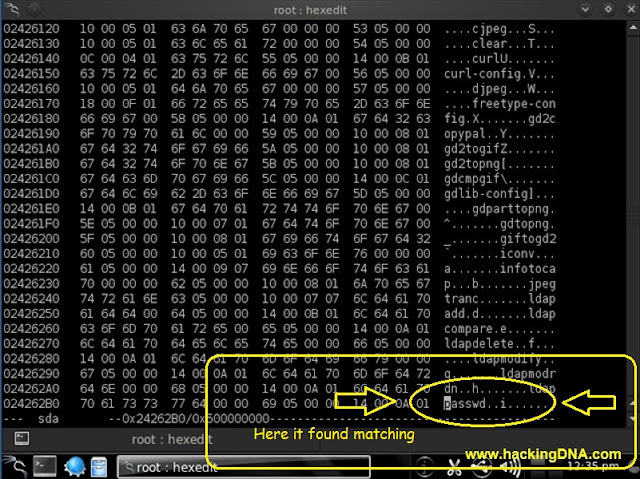 Here I am searching for Ascii string : I entered a string passwd and press enter . This is how , we can work on " hexedit Forensic Tool . " 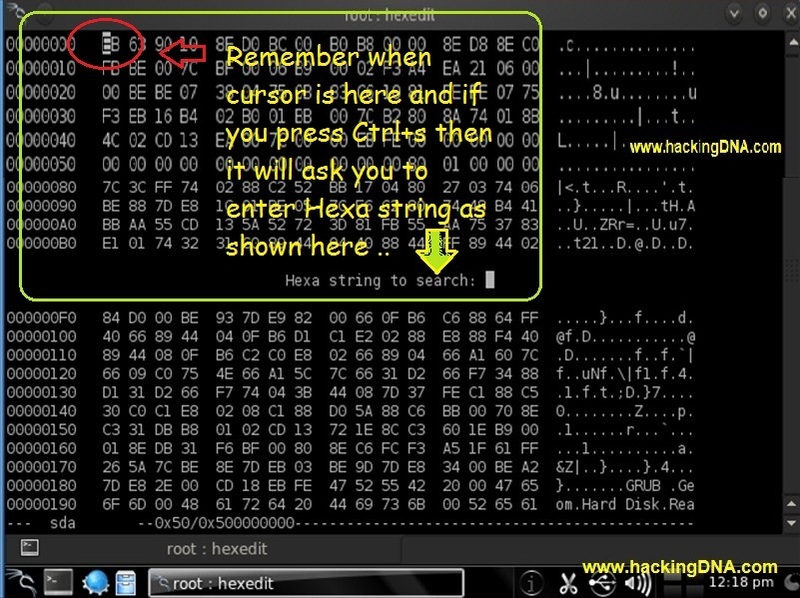 Its a great tool we can do lots of things with this , the thing you just need is Creative Thinking . These are the few examples I showed here working on other example also . 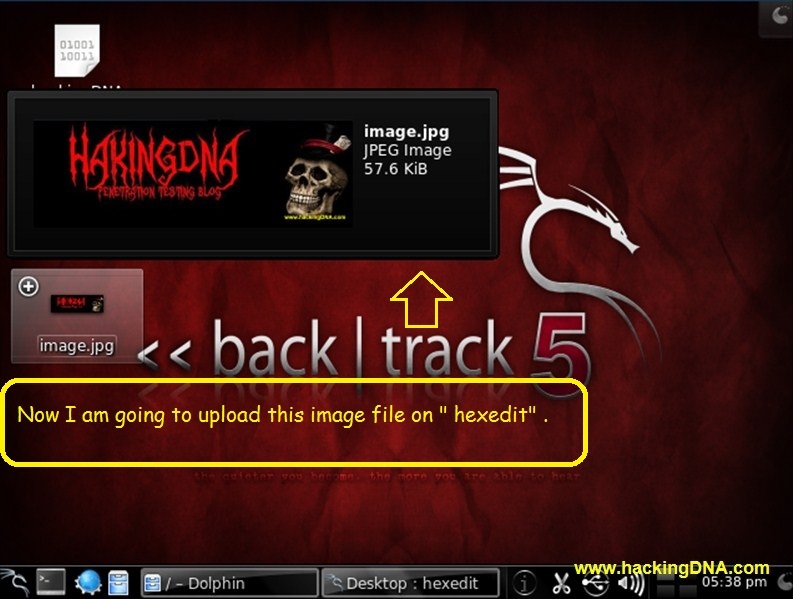 And if you like this article dont forget to comment .